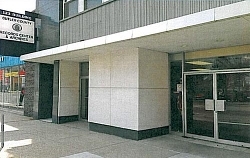 The Butler County Records Center and Archives was established in March 1995 to provide a research facility for genealogists and centralized records management services to our community, its elected officials, offices, and Courts. Our mission is twofold: 1) oversight of records management, which governs the lifecycle of records (creation, maintenance,use, and disposition, and 2) archiving, which is the permanent preservation of documents and other records of historical interest. We also house a reasearch area open to the public which provides access to the Center's records dating back to the 1800's. This research area is open to all persons interested in County records of historical importance. Public Customers can submit their records request on the main line number 513-887-3437 or via e-mail records@bcohio.us Messages will be returned promptly and the records can either be mailed or picked up during public hours. Civil, Criminal & Domestic Relations Case files available. Please visit their website for further contact information and hours. Probate Estates Case files available.